An article at Phys.org recognizes a problem in science that we know a bit about. 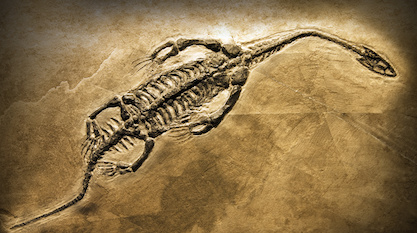 It shows up often in the evolution controversy: lack of self-scrutiny. In his article, “On unconscious bias in science,” Dr. Jaboury Ghazoul of the Swiss Federal Institute of Technology in Zurich, describes issues in his own field, environmental science. None of this matters much in my field of plant ecology, beyond taxing the pride of the researchers concerned. It is more serious when derived conclusions have applied relevance, by influencing resource management or environmental policies. In applied fields of research, there is more pressure to deliver evidence, and more to be gained in doing so — which can increase the likelihood of unconscious bias. This might explain contrasting conclusions on, for example, toxicity of pesticides on bees from studies funded by corporations or environmental organisations. This brings us to value-laden sciences such as conservation. Conservation scientists have an agenda. Our science provides an evidence base for conservation action, set within the value that global biodiversity ought to be protected. Conservation science aims to justify this value by demonstrating the benefits of biodiversity to local and global communities. But how credible can these claims be if research serves a normative conservation agenda? We are not dispassionate observers. If we question the veracity of studies funded by agrichemical industries, then shouldn’t the objectivity of research by avowed conservationists be subject to similar scrutiny? Think about how this kind of reasoning relates to the intelligent design and evolution debate. If scientists come with the presupposition that there will be a naturalistic explanation for the origins of the universe and life, can they be “dispassionate observers”? Some scientists have decided to speak out against those presuppositions. Those who are willing to buck the trend are a small but growing minority. Take a look at this list of 950+ scientists who dissent from Darwinian evolution. Those who think scientists understand the issues of prebiotic chemistry are wholly misinformed. Nobody understands them. Maybe one day we will. But that day is far from today. It would be far more helpful (and hopeful) to expose students to the massive gaps in our understanding. They may find a firmer — and possibly a radically different — scientific theory. The basis upon which we as scientists are relying is so shaky that we must openly state the situation for what it is: it is a mystery. Let us hope that unassuming attitudes — like those of Ghazoul and Tour — will continue to impact science. Image: James Tour, via University of Waterloo/YouTube.